Powerful Jet Sustainer, Electric Sustainer or Water-cooled Self Launcher? With purchasing trends leaning towards gliders with engines, all 304S fuselages are prepared for a power unit, which one depends on your individual preference. Key components to support either the Self Launcher, Fet or the FES are inserted into the fuselage before closure of the two halves of the mould. 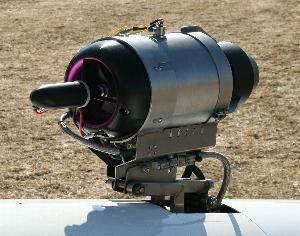 The glider can be supplied complete with the engine installed or as a pure glider for engine retrofit at a later time. The Tailplane and Wings are identical regardless of whether the customer chooses the Self-launcher, Jet sustainer, FES or Pure sailplane. HpH 304SJ - The SAFEST and Best VALUE Self-Retrieve Sailplane on the Market Today. Jet climb of over 3Kts! For the price of a second-hand turbo you could have a new Shark Jet outfit. The safest and best value top-performing sustainer on the market today. This engine was developed for HpH by former MTU Engineers and is based upon a well proven military powerplant currently in service. 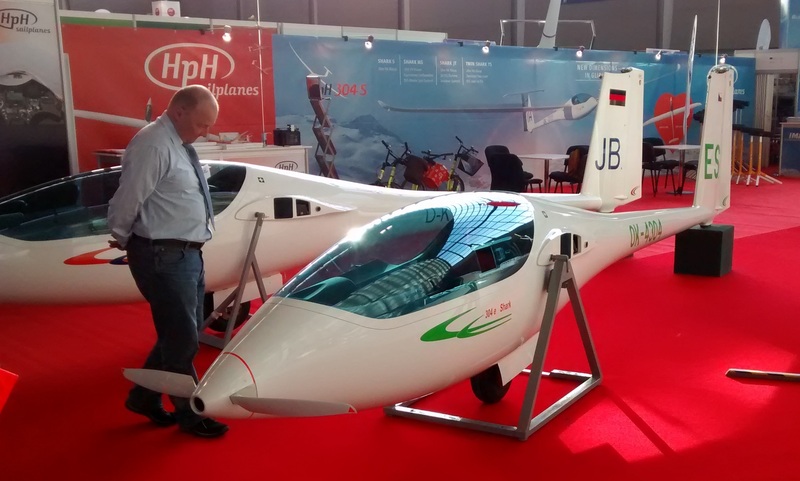 It’s size, weight, thrust and fuel consumption have been tailored especially for use in a glider. So why choose a Shark Jet ? Low Weight: Total System Weight of less than 10Kg (22 Lbs). Widest range of wing loadings. Wide Speed Range: It allows speeds ranging from slow climbing (3Kts) to 100 knots whilst maintaining constant thrust throughout the velocities. User friendly operation: Advanced Electronics automatically control the start-up/shut-down sequence, thrust regulation as well as the retraction of the whole unit. There is no need for choke, propeller brake, decompression levers and other controls any more! Operate with a single switch, power up with a single knob! No vibrations: Cruising with a jet engine is pleasant, you dont feel any vibrations in the cockpit, NO propeller can compete! Maintenace free and easy to install: Dissassemble in 30 minutes using standard tools, servicing utiises full diagnostic interrogation of the internal logging memory for state of the art engine health monitoring. Optimal fuel consumption of 17L per 100Km: A virtually maintenance free engine with reasonable operating costs. Its not just an option – its the future… And it is here NOW ! Whereas other units that have been tested on gliders, have had to rely on compressed propane gas for starting, the TBS engine has a hi-torque electric motor for starting. Dedicated engine batteries drive the FADEC Computer and hold enough charge for over 10 Engine starts in just one charge cycle. Low voltage microswitch interlocks combine with a comprehensive fire detection system to offer the highest level of safety in a self-sustainer to date. With over 15 Shark Jets flying around the World offering reliable operation and very high-start success rate the Shark is the best choice. HpH Shark MS - The Best Value Top Performing Self Launching Sailplane available. 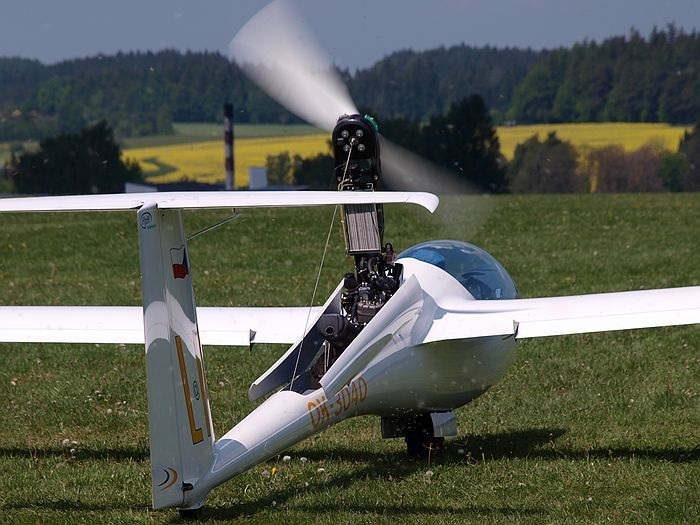 HPH have developed the Shark MS in close cooperation with Binder Flugmotteren, the acknowledged experts on the development of self-launching solutions for many of the leading sailplane manufacturers. The main engine unit (Pylon / Prop etc) comes directly from Binder. The engine controller is supplied by ILEC, continuing the HPH approach of selecting the best quality components and partnering with the best people for its products. HpH Shark MS – self launcher with the SOLO 2625 water cooled engine. Self Launch climb of up to 7Kts! 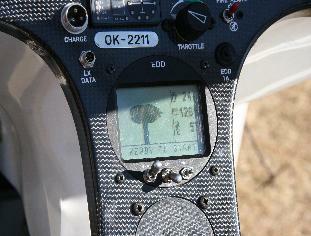 A top performing self launcher sailplane for substantially less than the competition. HPH have developed the Shark eS in close cooperation with Luka Znidarsic of LZ Design, the acknowledged experts on the development of electric sustainer technology. HPH sent a complete Shark fuselage to LZ design in 2014 allowing LZ design the freedom to implement their technology onto the mature Shark platform, continuing the HPH approach of selecting the best quality components and partnering with the best people for its products. The FES solution, on the Shark eS complements the product offering and brings similar but different advantages to the Shark Jet. HPH remain fully committed to this product roadmap going forward.